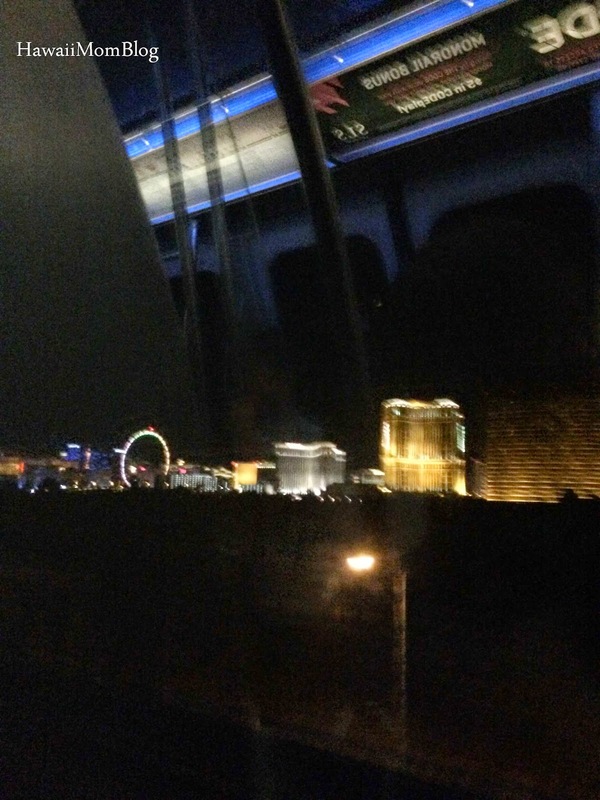 The last time I visited Las Vegas, the Las Vegas Monorail hadn't been completed yet. To see different spots on the famous Las Vegas Strip, my husband and I drove to different hotels, parked, walked around, and then walked back to our car, and drove back to our hotel. On our recent family trip to Las Vegas, we knew taking the Las Vegas Monorail would be so much more convenient. The hotel we were staying at (the Westgate Las Vegas Resort & Casino) was a stop along the monorail route, and with three kids, we knew it would be so much quicker to just hop on the monorail to get to different destinations versus getting everyone in the car and the kids into their car seats, driving through the busy Strip traffic, finding parking at a hotel or mall, and then doing it all over again to return to our hotel. And my kids just love riding monorails, so we knew not only would it be practical, but it would be a lot of fun! The Las Vegas Monorail, which was originally anticipated to link MGM Grand and Bally's Hotel, soon developed a plan to include other spots on the Strip. 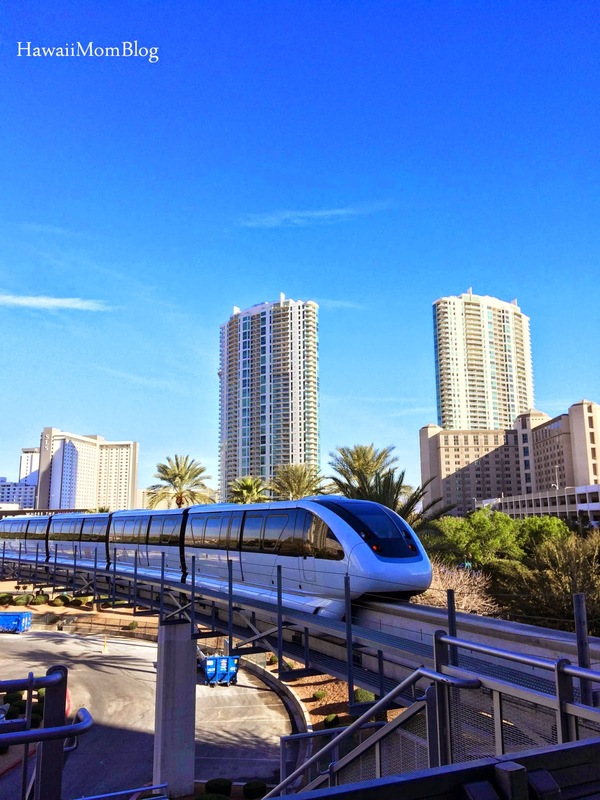 Since opening in 2004, the Las Vegas Monorail has carried over 60 million passengers, and we were excited to ride the Las Vegas Monorail ourselves. After picking up our hosted tickets at our hotel (tickets can be purchased online, and at various ticketing offices and ticket vending machines at various monorail stations), we went to the monorail station, which was just outside of our hotel. We never encountered any issues when inserting our tickets into the gates to get to the boarding platform, and we never had to wait very long for a train to arrive. Depending on the time of day and the number of trains in operation, trains arrive anywhere from every 4 to 9 minutes (you'll hear an announcement at the station advising how often the trains arrive). Most times we caught the monorail we never had to wait for more than 6 minutes. A very handy route map at the stations and on the monorail help to guide you to your next destination. The map details the hotels along the North and South Bound routes, and also advises which stop would be best to go to certain hotels and attractions along the Strip. There was always a security officer at the stations who would direct people where to go and offer any other assistance. Both the stations and trains were clean, and we could always find a seat (although my kids enjoyed standing and holding on to the pole). 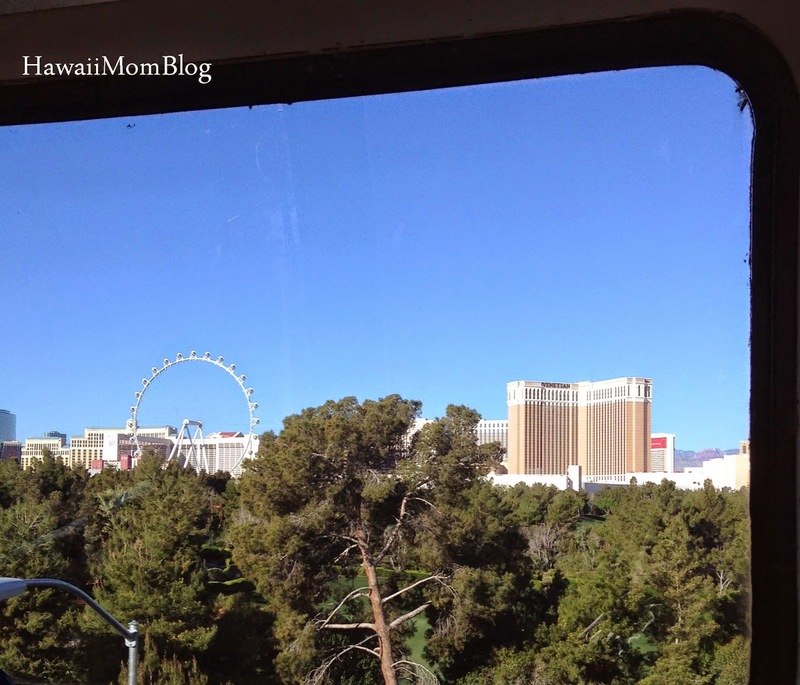 The Las Vegas Monorail also provided some nice views of the Strip. If you plan on visiting a lots of spots on the Strip during your stay in Las Vegas, and/or need to attend a conference at the Las Vegas Convention Center, the Las Vegas Monorail is an ideal mode of transport. They offer several different ticket options, including multi-day passes. We had a two-day pass, which allowed for unlimited travel during a 48-hour period (after the first-use, a time is stamped on the ticket which indicates when it expires). Thanks to the Las Vegas Monorail, we were able to go back and forth from our hotel to various points along the Strip to dine, shop, and visit attractions, without having to deal with traffic and parking. 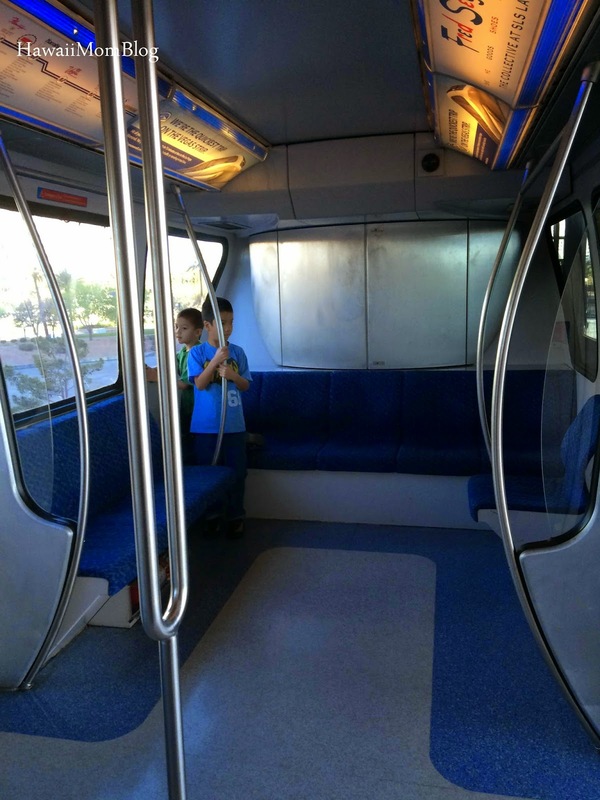 The Las Vegas Monorail - Convenient and Efficient! I can't imagine a more convenient, fun, and environmentally-friendly way to experience the Las Vegas Strip. 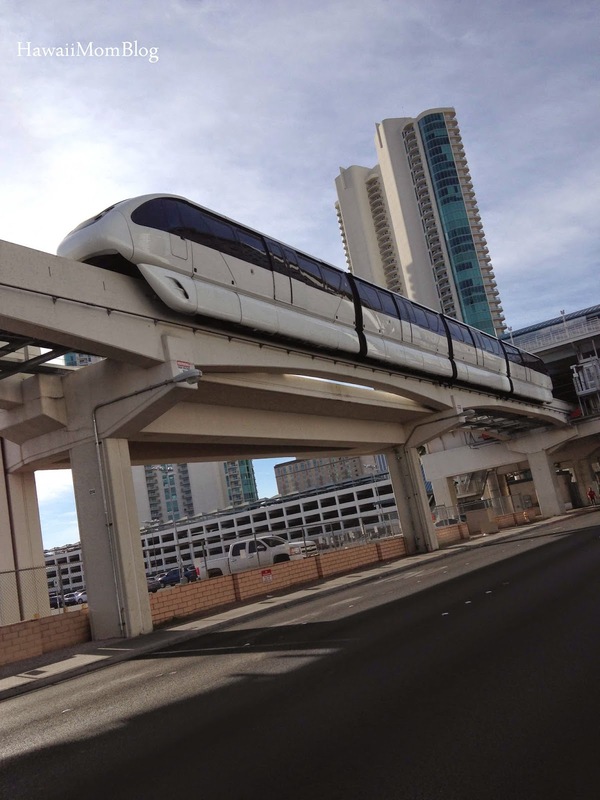 To buy tickets for the Las Vegas Monorail, click here. 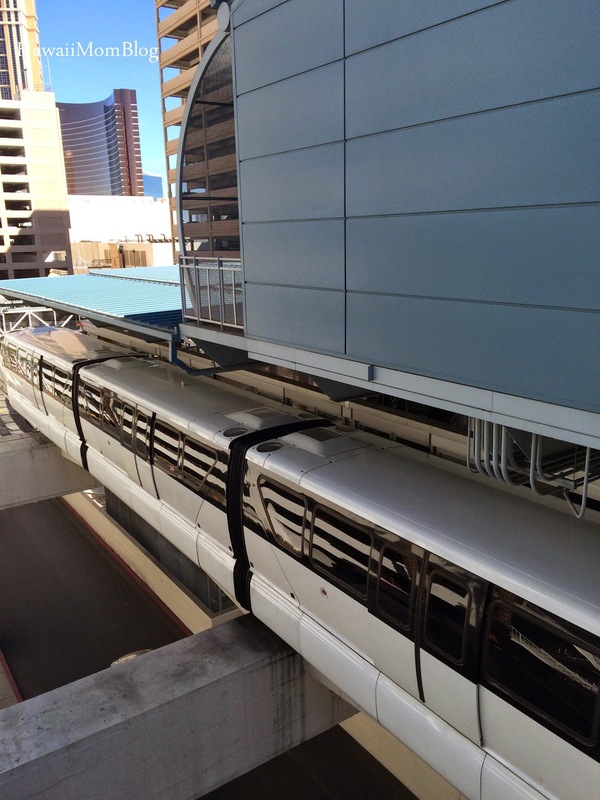 For hours of operation and more information on the Las Vegas Monorail, click here. Thank you to Las Vegas Monorail for hosting our tickets.